TajaSevelle.com – The official Taja Sevelle Website. 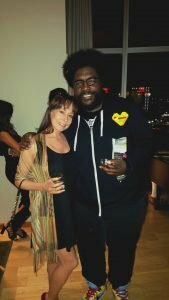 Music, literature, philanthropy. The official Taja Sevelle Website. 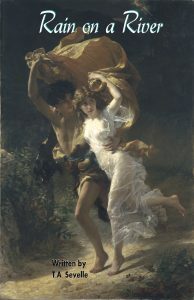 Music, literature, philanthropy. Coming Soon: The official launch of Taja Sevelle’s new book, From The Root, A Memoir and A Philosophy for Balance in Our World! Saturday, June 8,. 2019 / VIP Hour at the 2019 PRN (Prince) Alumni Foundation Gala, in Detroit, Michigan. Also coming soon: NEW MUSIC- stay tuned! Little Diva reached Top 30 on the Billboard Dance Club Charts in the U.S! Belber, the iconic heritage handbag and luggage company, joined up with Taja Sevelle for the U.S. launch of Taja’s new song, Little Diva. In April, 2017. Belber designed an exclusive, Limited Edition, Little Diva Tribeca Tote, especially for the launch of Taja Sevelle’s, Little Diva. This handmade, leather tote is numbered on the inside, with an exceptional artist’s rendering of Taja, in natural grained leather. Certificate of authenticity included, benefits two charities, only 200 units available worldwide! Purchase here. Currently recording under her independent label, Matrix Music, Taja’s new music is available on Amazon, iTunes and other online outlets. The first song Taja wrote, Love is Contagious, became a charted Billboard hit in America and Europe, reaching Top7 in England. Taja has written songs with renowned writers around the world including, Burt Bacharach, Thom Bell, Prince and Nile Rodgers. She has singing and songwriting credits on over 3.5 million CDs sold. Subsequent to her deal with Prince, after a bidding war with 9 major record labels, Taja signed a deal with Sony 550, and released her third CD, Toys of Vanity. Taja Sevelle has written three books—a non-fiction titled, From the Root, A Memoir and A Philosophy for Balance in Our World, and two unpublished novels, Rain on a River and 49 Days. She has co-written a script for 49 Days and is currently working on her new novel, The Joke. From The Root will be available soon. Please check schedule and news sections for updates. From The Root, A Memoir and A Philosophy for Balance in Our World, By Taja Sevelle. – Nile Rodgers, Music Producer, Author. 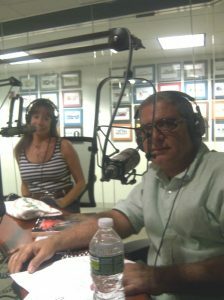 -Shawn King, Actress/Singer and Larry King, TV/Radio Host formerly with CNN. -Joel Kahn, M.D. Clinical Professor of Medicine (Cardiology), Author of “The Whole Heart Solution. – Professor David Lea, Department of Earth Science, University of California. Recording Artist, Taja Sevelle, who signed her first record deal with the legendary artist, Prince, outlines a courageous plan for bringing the world into balance, and shares the reasons she put her music career on the “back burner” to start the nonprofit organization Urban Farming®. Her blueprint for balance includes recapturing trillions of dollars of wasted capital, and reallocating it into areas that will better serve both our economically challenged communities, as well as our economically vibrant communities. With chronicles of risk-taking vision, extensive research, and rare personal experiences, Taja offers a formula for integrity in business, personal, social, and political relationships, as well as world affairs. She shares how fundamental “root” principles are essential for the restoration and balance of mental, physical, and spiritual health within our global family. While recording her third CD for Sony Records in Detroit, Taja saw widespread poverty and vast stretches of unused land—a memory she would not forget. With three community gardens and a global vision to “Create an Abundance of Food for All in Our Generation,” Taja started Urban Farming, which went on to ignite a global gardening movement. Within six years, there were over 56,000 gardens within the Urban Farming Global Food Chain® Urban Farming has been featured in over 30,000 media stories including The Ellen Show, Good Morning America, The Montel Williams Show, the BBC, CNN, FOX, NPR, The New York Times, and the Wall Street Journal. From The Root vibrates with the inspiration, innovation, and perseverance of a brilliant and passionate artist who put her first love—music—on hold to address some tough global issues. Set in present day, this mystery and romance centers around the lives of Lastlia Priscilla States and Alden Bain Thearou. They realize a foe is in their midst, and as they begin to unravel the mystery of their past, they are gripped with finding out who their enemy is in the present. It soon becomes a matter of life and death. Lastlia and Alden are torn apart and highly misunderstood as the mystery takes unexpected twists of fate. 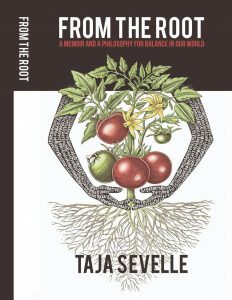 June 8, 2019– Book Launch: VIP Event 8:00 PM – 9:00 PM: The official international book launch of Taja Sevelle’s new book, From The Root, A Memoir and A Philosophy for Balance in Our World, At the PRN (Prince) Alumni Foundation Global Gala, mix and mingle with Prince Alumni– Taja will speak and sign books. Deluxx Fluxx Club, 1274 Library Street, Detroit, Michigan. 9:00 PM: Dance and celebrate Prince’s music with special guest DJ’s, Prince Alumni and surprise guests! Taja Sevelle speaks all over the world and has been a keynote speaker in more than 85 public engagements, including: the Yale Sustainable Agriculture Panel; The National Academy of Recording Arts and Sciences Songwriters Panel in New York; the National Black Caucus Panel on Food Deserts in Washington, D.C. and The Farm Credit Council Convention in Washington, D.C. She has received several notable awards for her philanthropic work. Please refer to the Schedule for current speaking engagements.